An unusual, interesting guest is actually studying and cooperating in the goldsmith team of HERMANN STAIB GmbH Pforzheim, Germany. 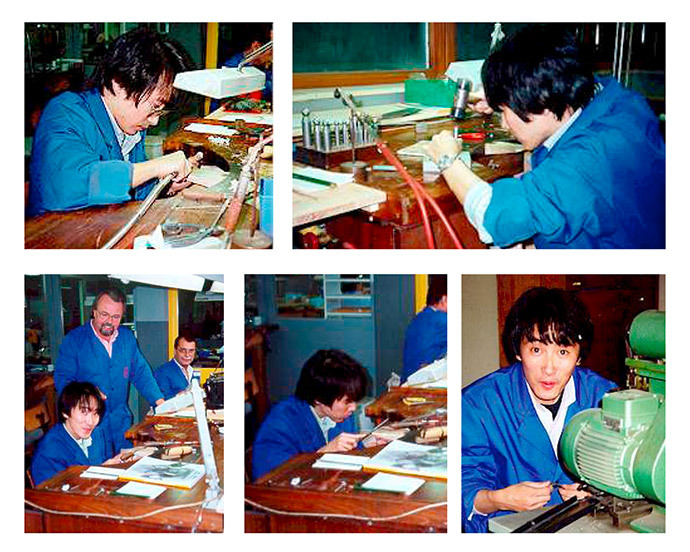 Thanks to excellent relations with the Seiko-Epson company one of their goldsmith masters, Mr.Makoto Kamijo, was awarded a three months practical course. Carefully and intensively guided by his colleaque, goldsmith master Siegfried Bartl, Mr. Kamijo becomes fully acquainted with the production methods of Pforzheim goldware manufacturing.